The Internet has been one of the most influential disruptive innovations in human history. It has revolutionized the way and speed people and companies can interact with each other all over the world and has therefore created a complete new economy. Apart from the early years where bandwidth was so slow, that you could only send mails or see only text-based websites, this revolution came along rather quickly after higher bandwidth througput became available. However, the current infrastructure behind the internet has some major flaws. From surveillance and censorship to low speed, unavailability and high costs, the internet’s infrastructure offers room for optimization. The Skycoin project wants to solve these problems with their flagship project Skywire. In the following, I will describe five problems of the current internet in detail and will explain, how Skywire aims to solve them. The first and most oppressive problem is that the internet in its current form can be used for mass surveillance. Each of a user’s website visits can be connected to his/her IP address. While this IP address on its own can hardly be used to identify users, a user’s internet service provider (ISP) can connect the tracked website visits to the personal data the user has transmitted to the ISP in the contract he or she signed with them. This enables ISPs to monitor users and create detailed personal profiles about them. 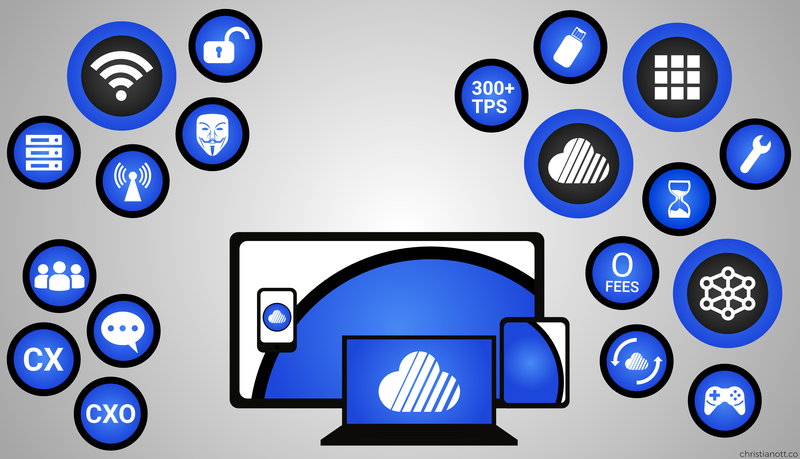 Skywire aims to prevent surveillance in two ways: First, Skywire promises to encrypt traffic, so that website visits cannot be tracked.1 Second, users don’t have to sign a contract that includes personal data with a company to access Skywire, because the access to Skywire is paid with either Coin Hours or Skycoin,2 meaning that personal data cannot be combined with website visits. The second core problem of the internet’s infrastructure is, that it facilitates censorship. With internet service providing being a monopoly in several countries or ISPs cooperating with governments or other influential actors, censorship is fairly easy to establish. It can take place either by deleting content or by redirecting users to a modified site, tricking them into thinking they access the website they wanted, but apparently, they are not. Skywire wants to deny centralized censorship by using decentralized internet service providing. Their vision is that a vast number of users all over the world become internet service prosumers, meaning they do not only consume internet services, but also provide other users with them, by hosting their own nodes which offer services or forward traffic to other nodes.3 Certain nodes can of course block or censor other nodes, but because of the decentralized nature of the Skywire network, a node can just use a different path via other nodes to access this blocked content. While prices for high-bandwidth in several first-world countries like in the USA or Germany are already high (but can be mostly compensated by a higher wage level), the internet can be not affordable at all in third-world countries, where costs for an internet connection can range from 20% up to over 100% of a person’s total income.11,12 Skywire solves this with affordable nodes. They are developing small nodes, that can be used to provide the Skywire network and have a one-time purchase cost of about 15 US Dollars, which the team might reduce to 3 US Dollars a piece in the future.13 This very low-cost internet providing will not only result in a growing network, but also in very low costs for consumers. As outlined in this article, there are five major flaws associated with the infrastructure of the current internet, that the Skycoin project wants to solve with their new decentralized internet Skywire. First of all, Skywire stands for encrypted access and anonymous payments which will ensure privacy of users. Second, its vision of decentralized hosting will prevent centralized censorship. Third, the new underlying protocol MPLS will enable faster transmissions of data. 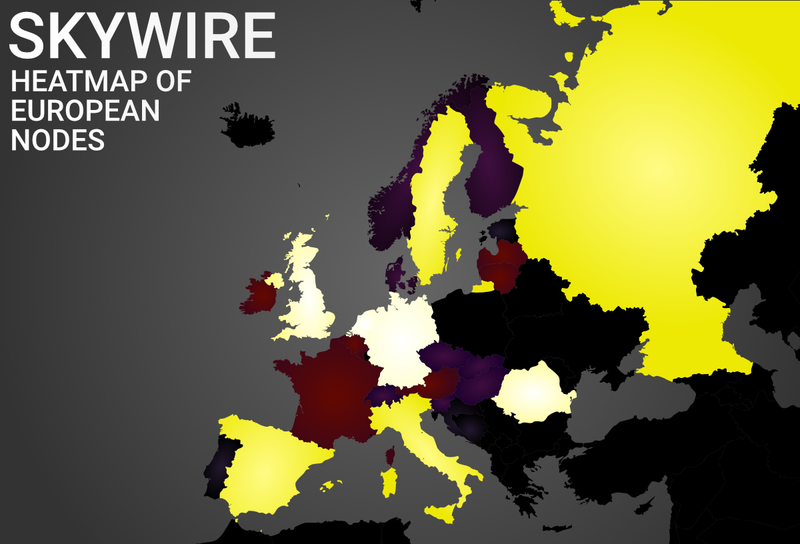 Fourth, availability of Skywire can be achieved by an easy deployment of nodes and the high range of antennas. Fifth, costs for Skywire nodes will be significantly lower than the costs for accessing the internet currently. Having the vision to solve all these problems of the infrastructure behind the current internet is ambitious, because it will require many internet service prosumers to run this decentralized mesh network. 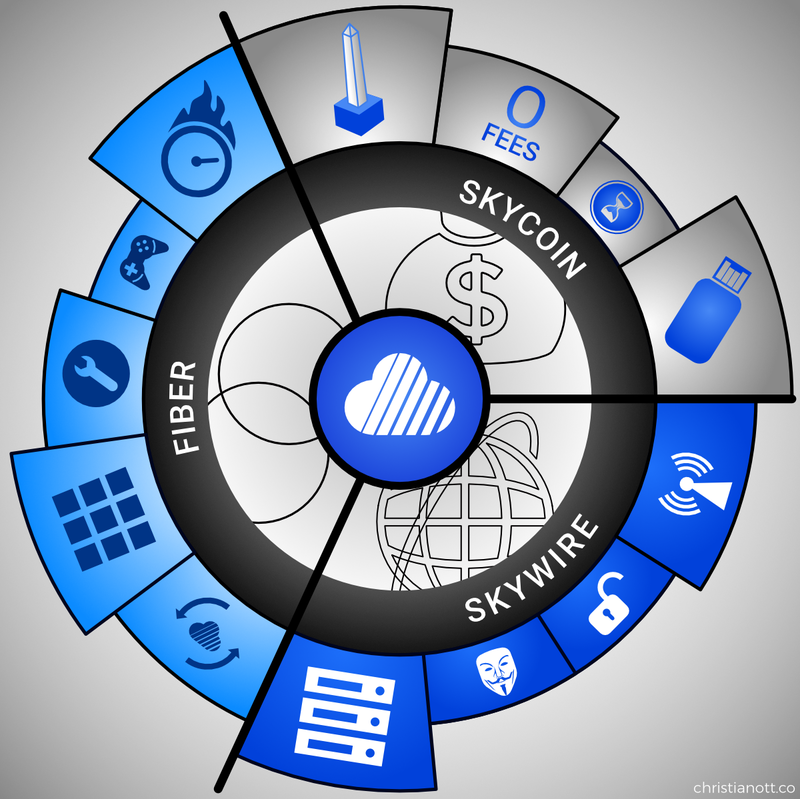 However, with blockchain and the Skycoin project’s desired long-term distribution of their currency Skycoin, it is possible to incentivize users for hosting nodes by paying them in Skycoin for providing bandwidth.14 Alongside its other goals, this monetary incentivization could give Skycoin the edge over previous mesh networks, which have failed because they could never reach wide adoption. However, with the need of mass hardware production and deployment to get the network going and more resources being used to build applications on top of it, Skywire’s success will be determined over the long-run. The general framework for a better internet will be provided by Skycoin’s team, so it will be mainly up to the users to recognize the flaws behind the current internet and adopt Skywire as the better infrastructure for their future world-wide network. Extracting the location from about 4000 nodes delivers some interesting insights. We saw, that the majority of nodes is based in the US, China and Western Europe. Nodes can be found in a total of 50 countries, although the six countries with the most nodes equal 75% of all nodes in the network. When you consider the relatively high node density in certain regions like Shanghai (399 nodes), California (316 nodes) or Provincie Gelderland (80 nodes) in comparison to other regions or countries, that do not feature a single node (Turkey, Poland or whole South America), we can conclude that there are local network effects that make the network grow. I can’t tell if this is coming from people who motivate their friends to build miners or people build them on their own and place them in various residences, but local network effects seem to be existing. Furthermore, the regions with the most nodes right now might also be the ones that grow the quickest, if there are already enough people at this point to spread the word about Skycoin. Overall speaking, I think 4000 nodes are a good number to perform a first statistical look at the location of the nodes in the network and it is also a great number for the Skycoin project, meaning they could motivate their userbase to run about 4000 nodes all around the world after the first week of the official Skywire testnet. This infographic is more diverse than the previous ones. The infographics I posted before had a clear structure and everything was aligned, while I tried a more ‘chaotic’ design approach this time. To my eyes, it makes the picture look more interesting and it is a type of graphic I haven’t seen used for Skycoin so far. The above displayed infographic is multifaceted, yet easy to overview. Its three parts can be identified immediately because of clearly distinguishable colors. The three transparent icons in the middle add some style to the infographic. In general, the colors in the graphic range from black and white in the middle to a variety of colors on the outer layer. 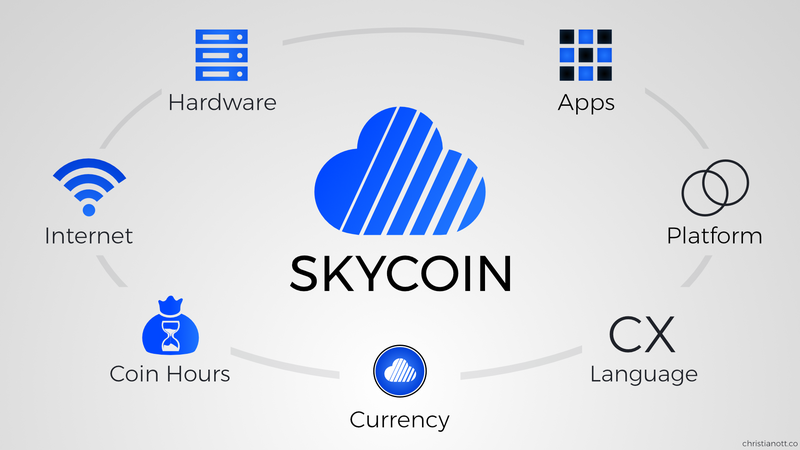 In opposite to that, the Skycoin logo is placed on a colorful blue background in the middle, which makes it the focal point of the picture. In my opinion, the result is visually appealing. All elements are in-line and the color scheme is consistent. Overall speaking, it has a great modern design and shows all relevant aspects of the project in a compact manner, which makes it my favorite infographic this far. 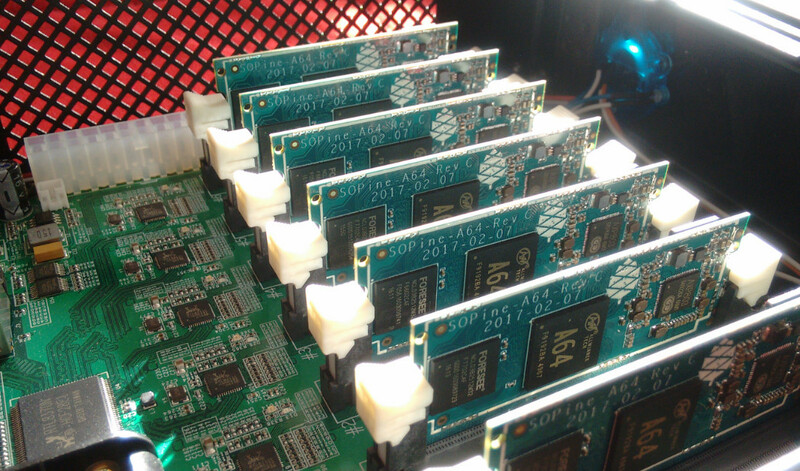 Back in February we created the Pine64 miner, who has witnessed great interest among the Skycoin community ever since.1 However, when we set everything up back then, it was not possible to connect the miner to a network after we installed the Skywire software. That has changed a few weeks ago, when we could connect our miner to a network for the first time. I was not sure, if this is a beta testnet prior to the ‘real’ testnet, but it seems like this is indeed the long awaited testnet of Skywire.2 Since the start of the network, an increasing number of nodes went online and connected to the two discovery addresses. During the last few days, there was a total of about 600-700 nodes online. While this network is still in a very early stage, one function that is already available is the possibility to gain access to the internet via VPN using other nodes in the network. In case you want to participate in the Skywire network, you need to connect a node to the network. You either need an official Skyminer or a so-called DIY miner, that can be plugged into the network. As soon as you have either one of those, have set up the operating system and the Skywire software on your node(s), you can connect to a discovery address. Currently, there are two discovery addresses working.3 In case the connection to the discovery address has been successful, your node(s) are now part of the Skywire network. 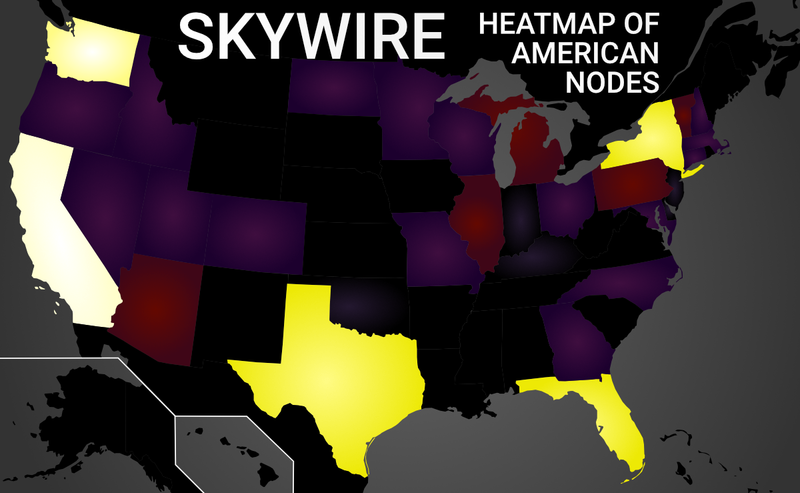 As of right now, every node in the Skywire network can be used as a node to gain access to the internet. That means, that other nodes can connect to your node and use your node as a VPN. Your nodes do not only act as a provider of bandwidth, you can also use the VPN by yourself. The easiest way is probably to install the Firefox plugin Foxyproxy and add your node as a proxy in there.4 In the Foxyproxy menu, you need to go to “Add” and insert the IP address of one of your nodes. As a port, number 9443 was working for us. For encryption, choose SOCKS5. After that, you need to click save and then enable this proxy address in Foxyproxy for all URLs. Then you need to head over to the Skywire manager and connect the node you want to use as a proxy to another node in the discovery list, that you want to use as a VPN.5 And voilà: When you are going back to Firefox, you are now accessing websites through the node you have connected to. You can quickly verify this by visiting myip.is with enabled Foxyproxy. The site should now no longer show your IP address, but the IP address of the node you connected to, which means your internet service provider can no longer track your online behavior. Once you have set up your Skywire node with an official Skyminer or a DIY miner and connected the nodes to a discovery address, you are now available as a bandwidth provider to other nodes in the network. Every node in the network has the possibility to connect to your node and use it as a VPN. Consequently, it is also possible for you to connect to every other node in the network and use it as a VPN. Right now, there are about 600 nodes online, but when you consider the 300 miners being shipped with each containing 8 nodes as well as the growing number of DIY miners, we might see 3000 nodes very soon, which will give every user in the network numerous possibilities to stay anonymous online. I am not going to post the discovery addresses here, since they might be already outdated when you are reading this article. You can find them either in the Skywire telegram or on the Skywire Github page. It can be a bit tricky to match the public key of your node(s) to the IP addresses of your nodes. As a quick solution, I noted the public keys and IP addresses of my nodes and unplugged one after the other to see, which IP address and public key disappeared and were therefore matching. This graphic is a nice alternative to the first infographic. I decided to rather include the functions of the different parts of the project than the names of it (e.g. Platform instead of Fiber), to display the overall scope of the project for people new to the project. It shows, that Skycoin really is an ecosystem consisting of several elements. The scope of the Skycoin project is enormous. The team behind it aims to develop an ecosystem of hardware, platforms and applications. Their motivation is to find applications, that are popular among consumers and also to identify use cases for blockchain. 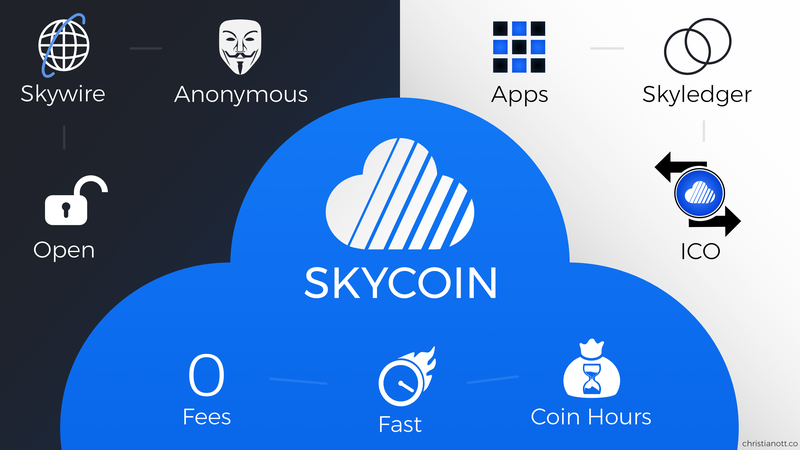 However, in a market where most cryptocurrency projects focus on the development of just one application, Skycoin can seem overwhelming to newcomers, who just found out about the project. Moreover, it is hard to grasp all the different parts of the project and the connections between them. This is why I decided to develop graphics, that show the complete scope of the Skycoin project. Visualizing the whole Skycoin project in one graphic is not an easy task. With my first three graphics, where the third is the most advanced one, I included just the three core parts of the projects, with Skycoin as cryptocurrency, Fiber as blockchain platform and Skywire as a new internet. Coin HoursFastFeesSkycoinis a next generationcryptocurrency. CustomizableBlockchainProviderExchangeListingSkycoin offers a blockchain platformFiber,that can be used by other applications. Social MediaGamesMessengerSome of theseApplicationsaredeveloped by Skycoin itself. AntennasSkyminerWalletThe backbone of this ecosystem is dedicatedHardware, produced by the Skycoin project. 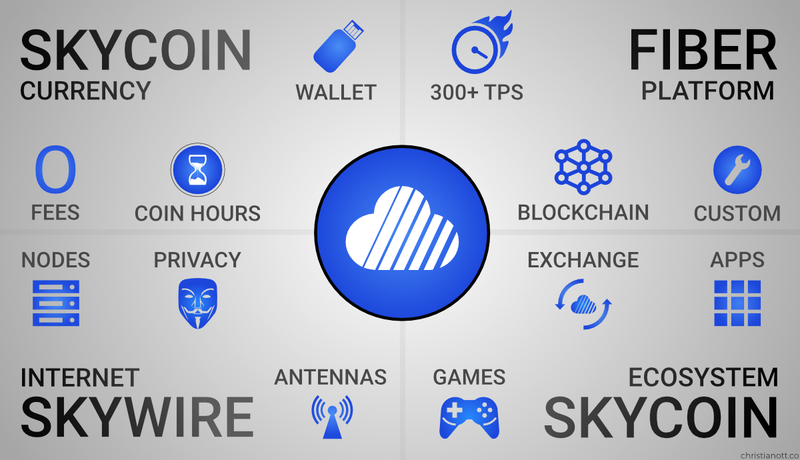 PlatformCurrencyNew InternetAs a summary, Skycoin is an independentecosystem of next generation applications. 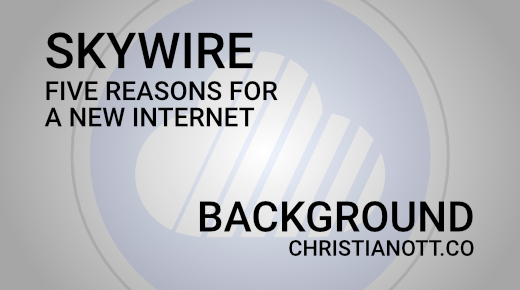 Skywire is Skycoin’s vision of a new internet, which is private, fast and without censorship. During the testnet, which is fast approaching, Skywire will run on top of the current internet. After that test phase, the Skywire mainnet will be launched, which means that Skywire will run as an independent mesh network. To realize this vision, Skywire needs to run on top of a multitude of servers, spread all over the world. These servers can either be bought directly from the Skycoin Project, who aim to develop the best hardware possible for Skywire or they can be built by users themselves, who want to participate in the network. 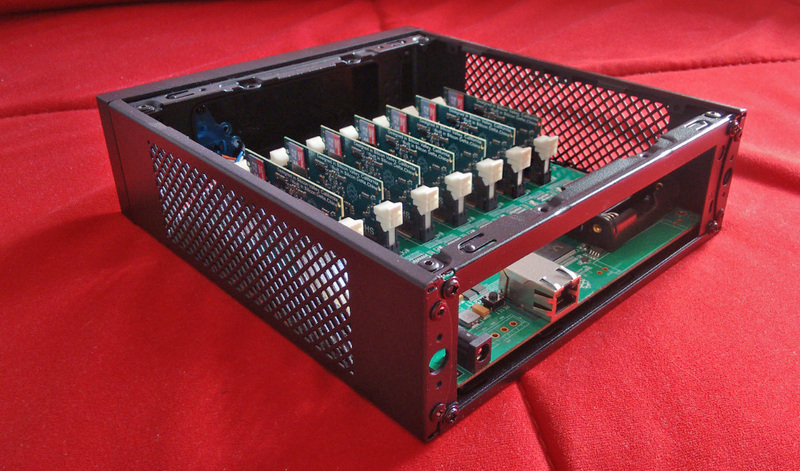 I chose the second option and created a so-called DIY Miner. With thousands of people in the official waiting list for purchasing an official Skyminer, we realized it would take months until we were eligible to buy an official one. Since we wanted to participate in the Skywire testnet, it was necessary for us to build a custom miner. 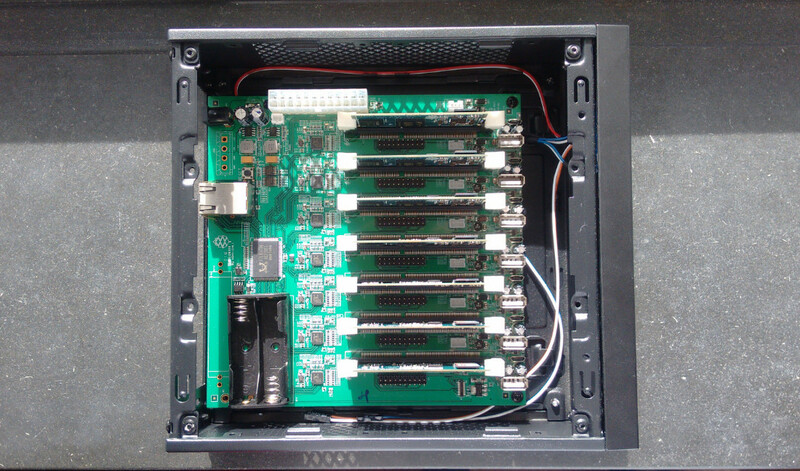 After looking at the specification of the official first-gen Skyminer, we went on to build a more compact one with the use of Sopine modules on top of a Pine64 clusterboard. Except for one node less, our miner contains the same computing power than the official Skyminer and can therefore definitely compete with other nodes in the network.